As a part of a $147 billion spending package passed by Congress on Thursday, $14 million was appropriated to pay interns in the House and Senate, creating new opportunities for students across the country. The spending package distributes $8.8 million to offices in the House and $5 million to offices in the Senate. The move will provide more opportunities for students whose families cannot take on the extra financial burden of supporting them while they work as unpaid interns. 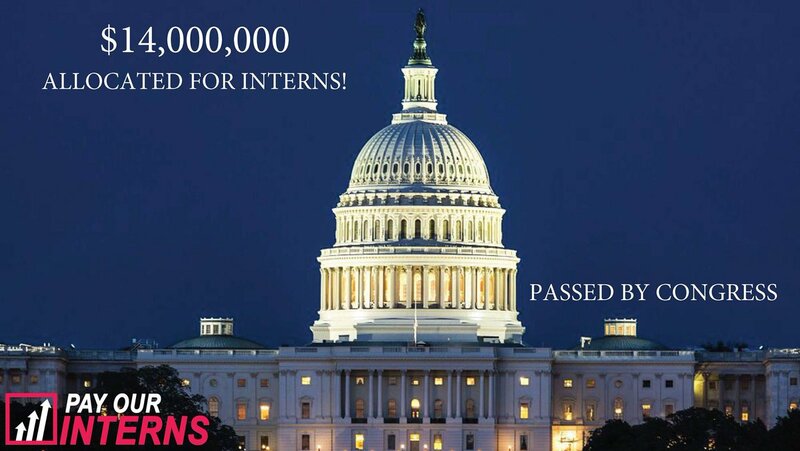 The issue gained national attention after Pay Our Interns, a nonprofit advocacy group fighting for more paid internships in the U.S., published a 2017 report in which they found more than 90% of House members and about 60% of Senate members did not pay their interns. The group celebrated the victory on Twitter, claiming "History is made! Today is the first time the full Congress has appropriated funds specifically to pay Congressional interns. A huge win for bipartisanship, diversity and economic opportunity in our government!"